Carry on your T in the Park weekend @ Drummonds! 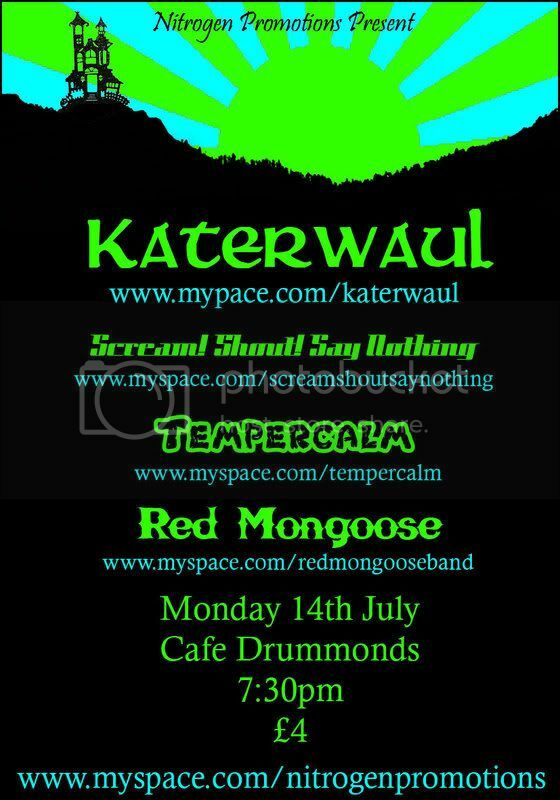 Katerwaul were phenomenal last night. First time I'd actually seen them live and they blew me away. Best Aberdeen band I've seen in a good while. Thanks to all other bands to. Scream! Shout! Say Nothing really surprised a few last night I think. tempercalm - hada few cool ideas...but got boring. kterwaul - the usual, ie - top quality.